Baby Nainitha is 5 months old. 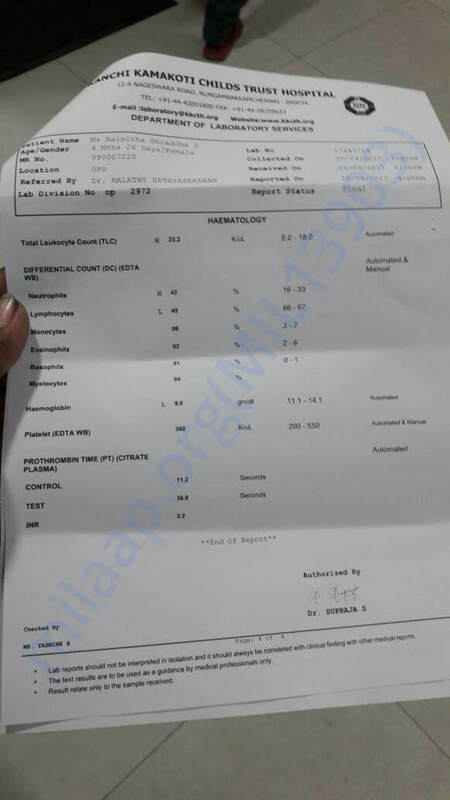 She is in the last stage of liver failure which is Biliary Atresia, Jaundice. This is a life-threating disease. 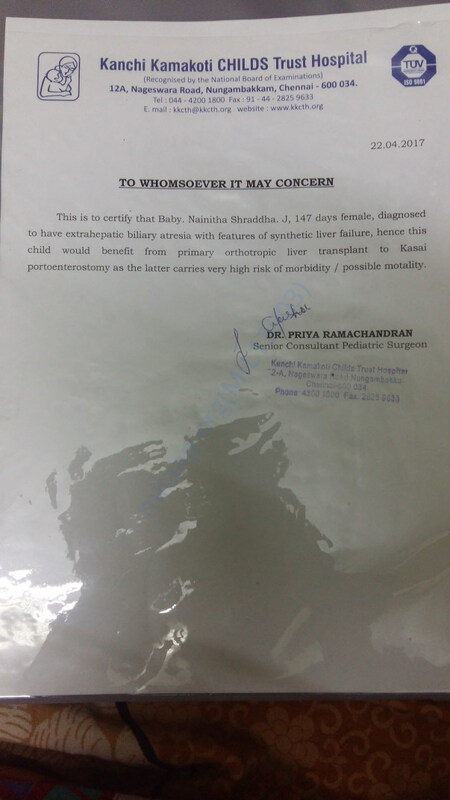 Baby Nainitha needs to undergo a transplant liver immediately in Chennai. 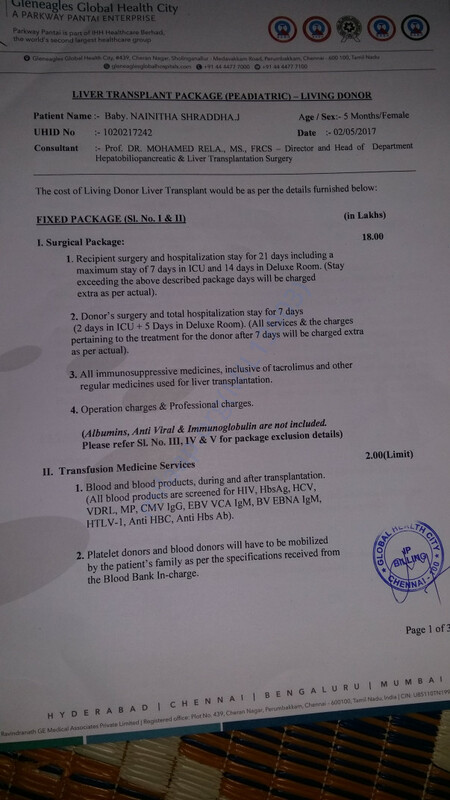 The cost of the transplant is 18 lakhs. She has been under medications and treatment for the last two months but there has been no progress in her health. She is our 1st daughter after 7 years of married life. 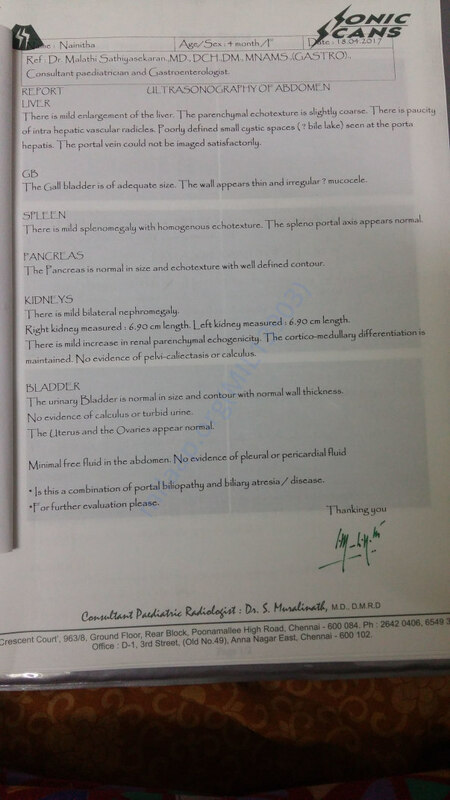 Recently we consulted Liver Surgeon she suggested we arrange for an immediate Liver transplant. 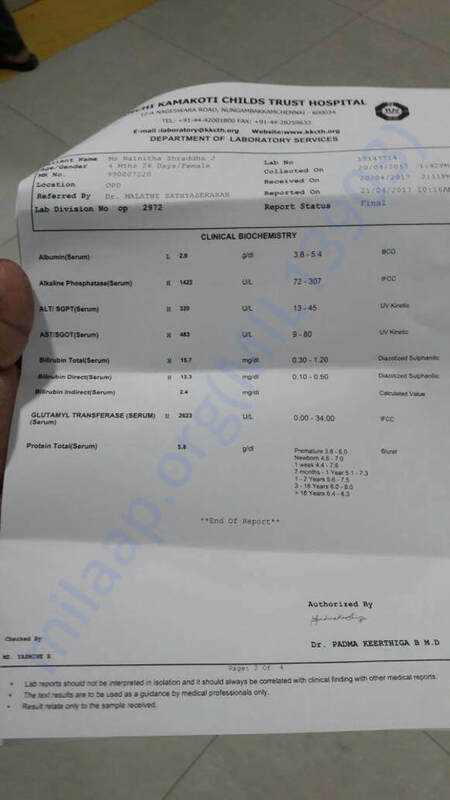 We are from a humble background and cannot afford this expensive treatment for our baby. There is only 1 month time for us. Today itself we came to know that about funds from cm relief fund also so will try the same. 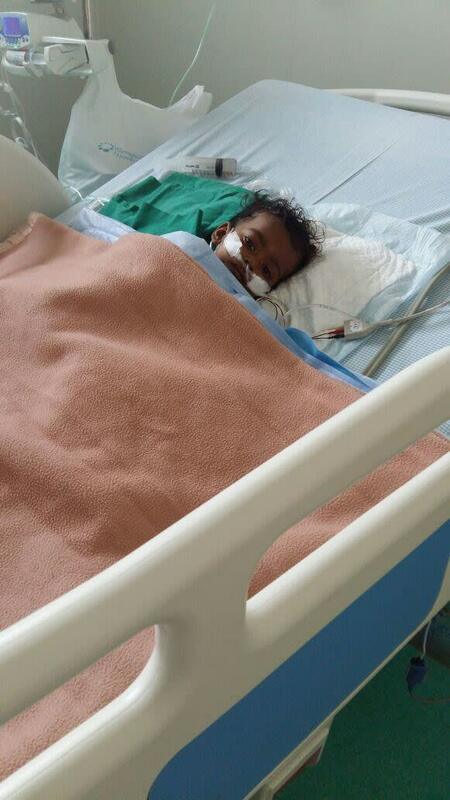 We hope that our child will get recover soon. 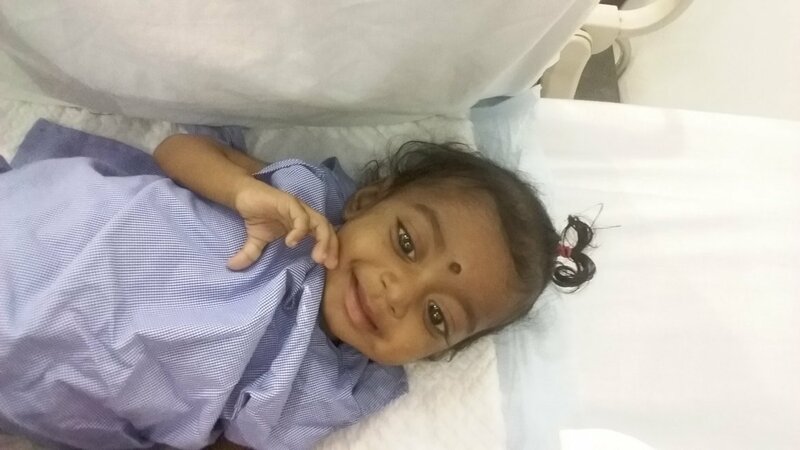 Thankyou for supporting for Nainitha's transplant, Now she is getting well responding to treatments.In the next 2 months she will be going to cure completely docotors said.She came back with a big smile. We are so thankfull to milaap and all the supporters. 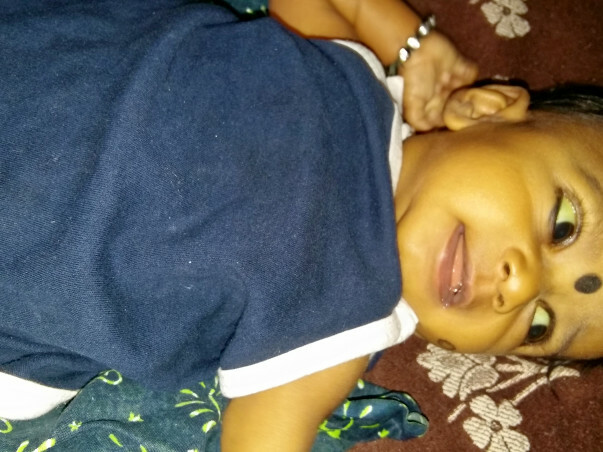 The Surgery has finished on 26th of July for baby Nainitha and the donor Tejaswini. Both of them are safe and are recovering well. The baby is In ICU for next 21 days for observation and then will be discharged based on the progress. Thanks for all your Love & Prayers for baby. 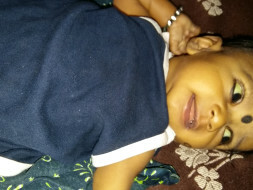 Thanks for all ur support for baby Nainitha .We both are going for surgery on 26th of July.Soon after transplant will give regular updates of her health . Please pray for her recovery.